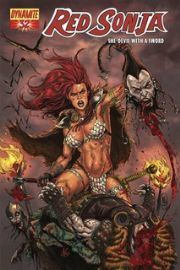 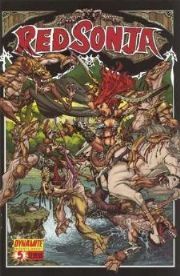 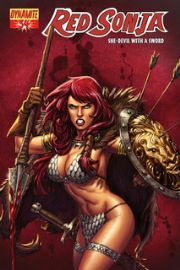 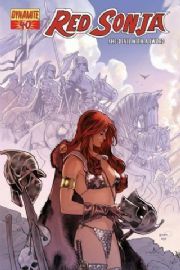 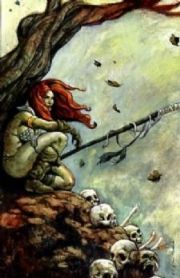 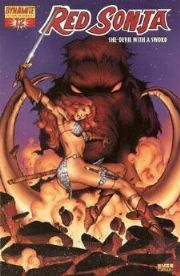 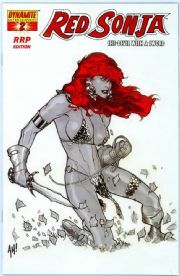 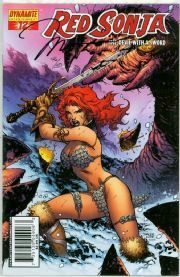 Red Sonja comics & variant comic books including RRP comics, negative, sketch variant comics & Dynamic Forces signed comics from Dynamite Entertainment Comics. 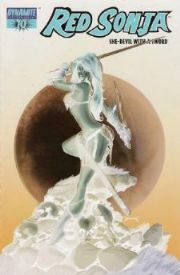 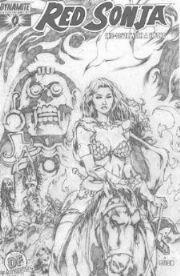 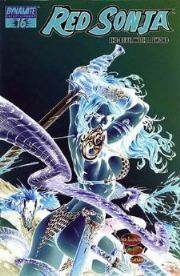 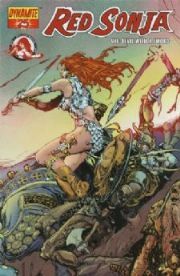 They feature the She-Devil with a Sword, a fantasy sword and sorcery heroine created by Roy Thomas and Barry Windsor-Smith. 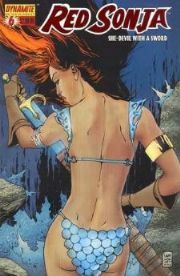 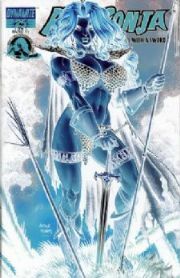 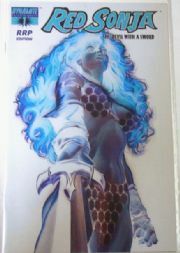 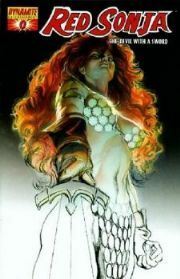 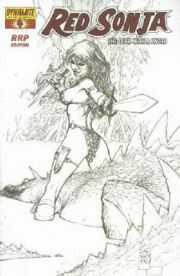 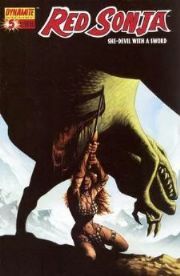 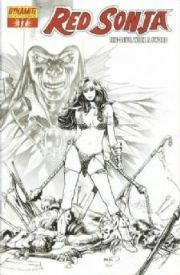 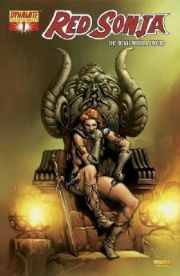 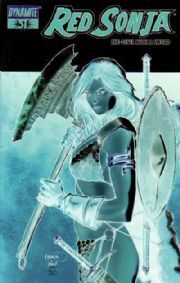 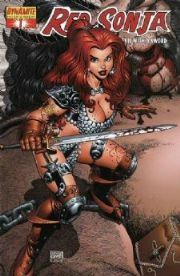 She first appeared in Marvel Comics Conan the Barbarian #23 comic book. 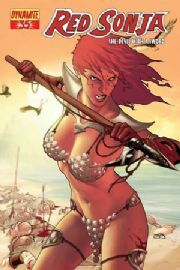 The character was loosely based on Red Sonya of Rogatino in Robert E. Howard's short story "The Shadow of the Vulture" (The Magic Carpet, January 1934), which Roy Thomas rewrote as a Conan story for Marvel. 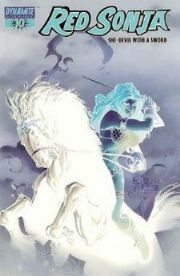 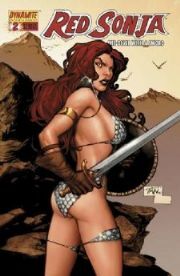 The character now appears monthly in her own series, as well as a series of mini-series and one-shots, all published by Dynamite Entertainment comics - a subsidiary of Dynamic Forces. 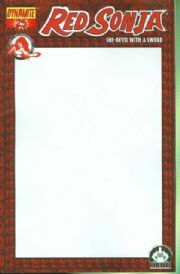 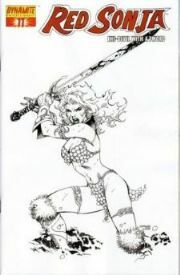 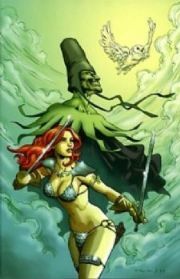 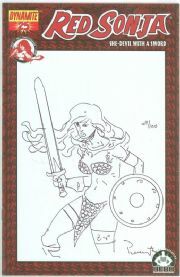 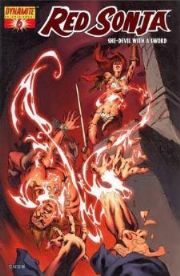 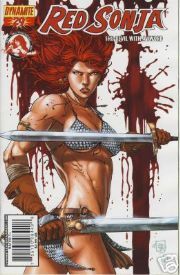 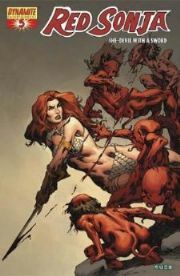 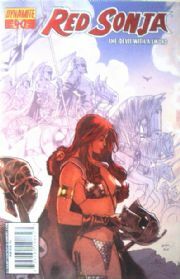 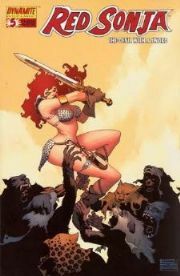 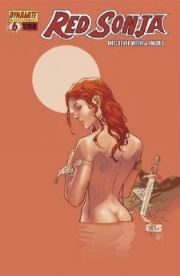 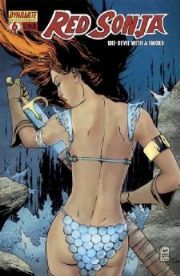 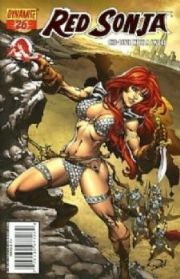 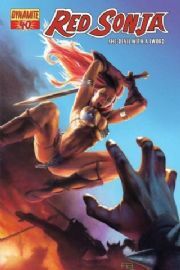 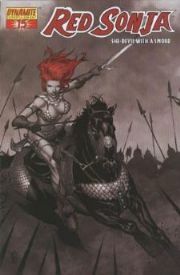 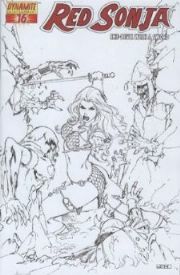 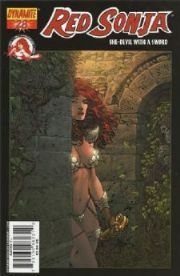 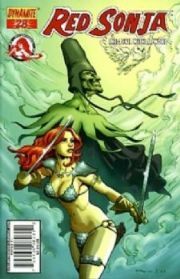 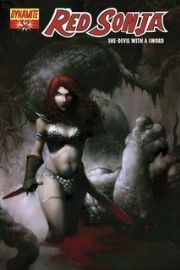 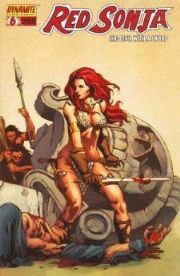 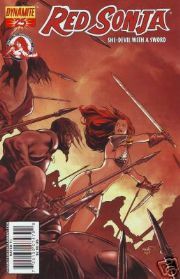 The main Red Sonja series features a wide array of cover artists as well as the regular creative team of writer Michael Avon Oeming and artist Mel Rubi. 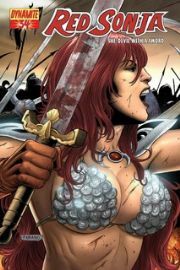 Red Sonja has become the archetypal fantasy figure - a fierce and beautiful female barbarian who typically wears armour resembling a bikini or lingerie. 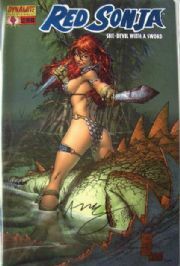 See the following series: Marvel Feature Comics (1975), Red Sonja Comics (1977), Red Sonja Comics (1983), Spider-man Red Sonja comics and Savage Tales comics. 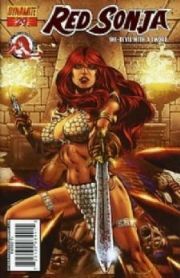 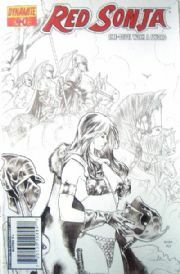 Red Sonja #1 RRP 1:300 Alex Ross Negative Variant comic book RARE!